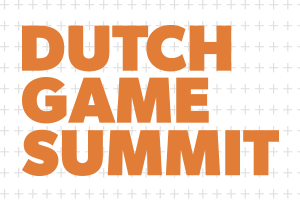 Dutch Game Summit 2019 - Get Your Tickets Now! Dutch Games Association hosts Dutch Game Summit Powered by TKI CLICKNL. This event is an inspiring afternoon filled with relevant and elevating topics concerning the dynamic, ever-changing games industry. Prior to this event, Dutch Games Association will also be hosting an information session concerning DGA Gaming Fieldlab. Register and find out more here. I am planning to become a member at the Dutch Game Summit. Do I need to pay for the ticket? If you sign up for a membership before May 31st 2019, you’ll get your ticket costs (excluding processing fees and VAT) refunded as a discount on your membership fee. The company I work for is a DGA Member. Do I get complimentary tickets? We have an INSTITUTE DGA Membership, can all my students/members/employees get complimentary tickets? Yes, just send us an email at contact@dutchgamesassociation.nl to let us know how many complimentary tickets you need. How can I contact Dutch Game Association with any questions? Feel free to contact us via contact@dutchgamesassociation.nl.